Venerable Barlaam, Abbot of the Kiev Caves, lived during the eleventh century at Kiev, and was the son of one of the boyars of Prince Iziaslav I of Kiev (1045–1052). 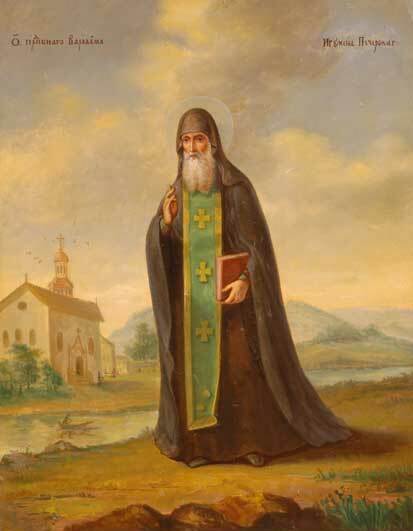 From his youth, he yearned for the monastic life and he went to Saint Anthony of the Kiev Caves (July 10), who accepted the pious youth so firmly determined to become a monk, and he bade Saint Nikon (March 23) to tonsure him. Saint Barlaam’s father tried to return him home by force, but finally became convinced that his son would never return to the world, so he gave up. When the number of monks at the Caves began to increase, Saint Anthony made Saint Barlaam abbot, while he himself moved to another cave and again began to live in solitude. 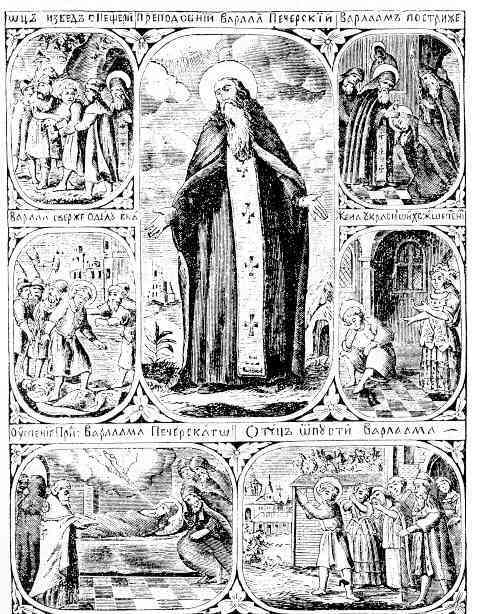 Saint Barlaam became the first abbot of the Kiev Caves Lavra. In the year 1058, after asking Saint Anthony’s blessing, Saint Barlaam built a wooden church in honor of the Dormition of the Most Holy Theotokos. 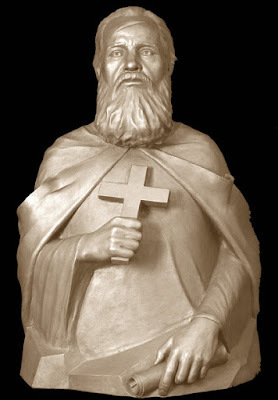 Afterwards, Saint Barlaam was installed as abbot of the newly-formed monastery in honor of the Great Martyr Demetrios by Prince Iziaslav, whose name at baptism was Demetrios. 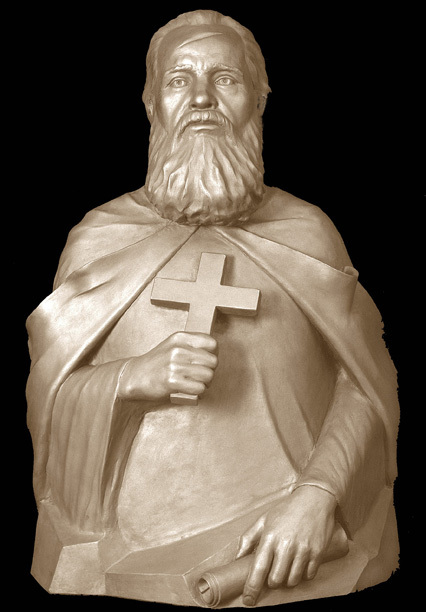 Saint Barlaam twice went on pilgrimage to the holy places in Jerusalem and Constantinople. 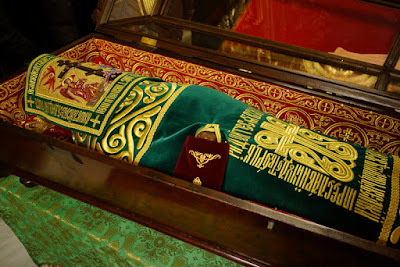 After he returned from his second journey, he died in the Vladimir Holy Mountain Monastery at Volhynia in 1065 and was buried, in accord with his final wishes, at the Caves Monastery in the Near Caves.